nice and clean man, good job, what color coolant you going to use. Just Ice Dragon Cooling fluid, which is solid white. 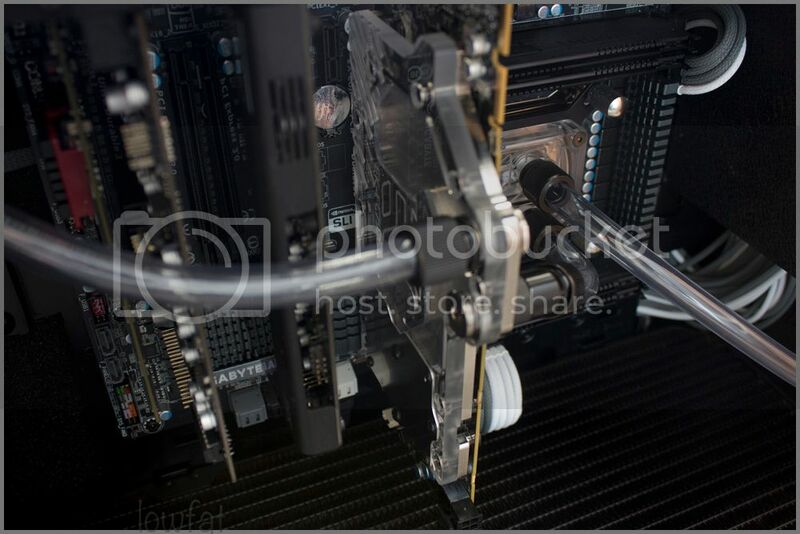 Your build is coming along great can't wait to see it with the white coolant. Blocks arrived today from Dazmode. 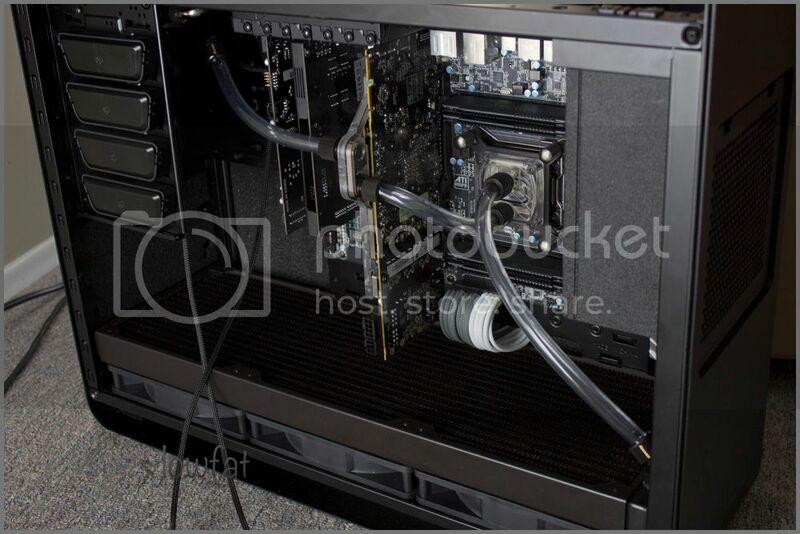 Not sure I like how the tubing looks though. Too tight I think. Last edited by lowfat; February 13, 2012 at 08:53 PM. Brandon, no man, I love how tight the tubing is, Super clean lines. I love it. Such a great job. The monochrome, the simplicity. Amazing. 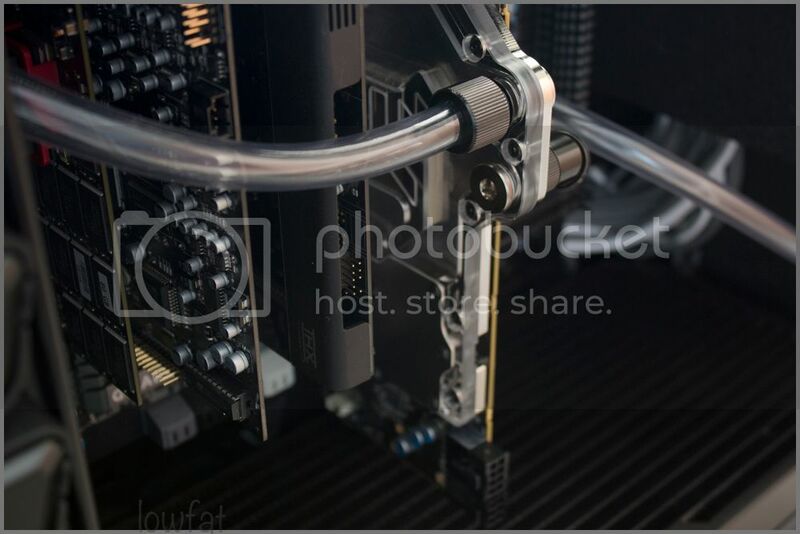 What do you have planned for the HDD bays? are you going make anything custom? I couldn't figure out a good way to modify the stock HDD bays, and still have it look good and be secure. I think I'd rather leave it out then do it poorly. I don't need them though since I won't be using any HDD's. I have the one 64GB Crucial M4 as my boot drive, then my 80GB FusionIO ioXtreme for my important apps and games. In a perfect world I'd like to have some sort of cover built to cover all of the remaining bays to make it look cleaner. However I am not much of a fabricator, so that will likely never happen. Here are a few more pics. I added one more 45˚ to my loop. My goal is to have the rig operational by Saturday. All I have left to do is cut, crimp, & sleeve my PCIe cable, 1 SATA power, and 2 4-pin molex for the pumps. Such a clean system. Looks great man. find a local hobby store and looks for a sheet of styrene, easy to cut and you can paint it any colour, and will cost less than $20 bucks for it. 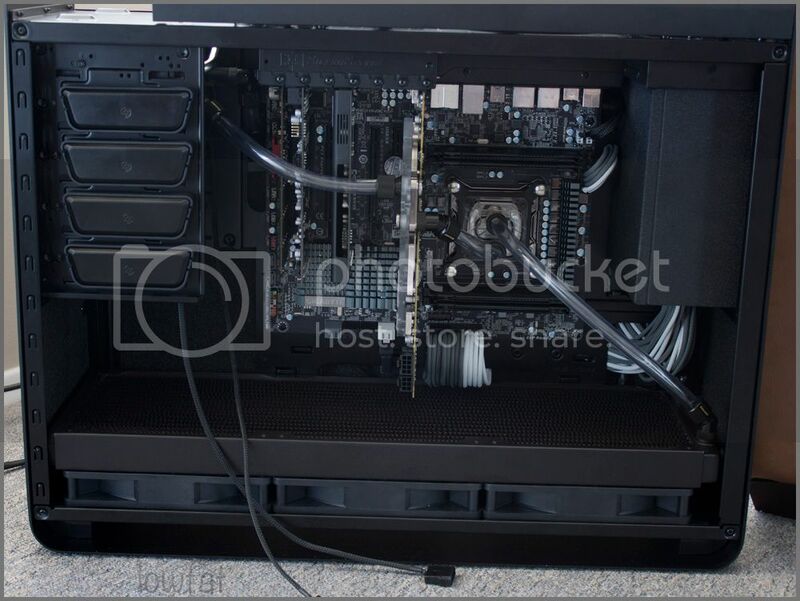 thats what i used to cove up mine in my lian li case. Are you going IceDragon+Mayhem dye for cooling fluid? I love the all black theme...I'm doing the same on my MM Pinnacle 24. No dye. Just plain IDC fluid. I am in the process of bleeding it right now. 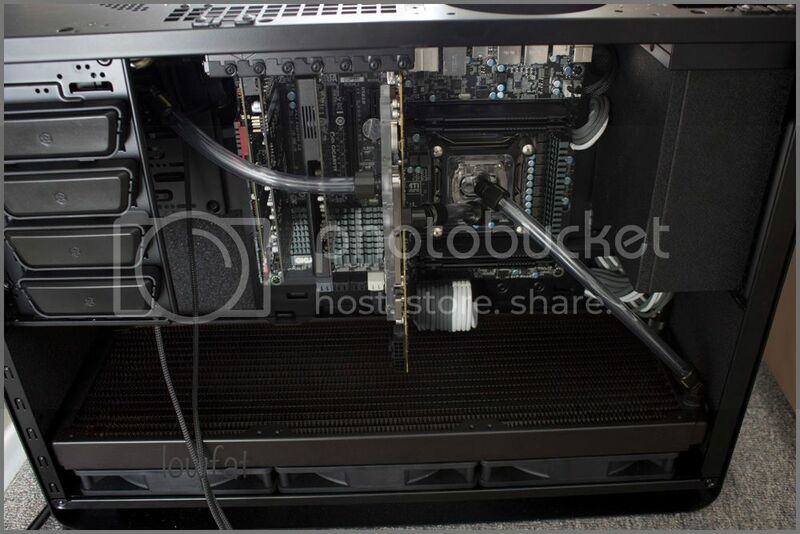 I screwed up and have the inlet/outlets reversed on the videocard. Normally it doesn't matter which is which. However w/ the videocard being vertical it sure does.